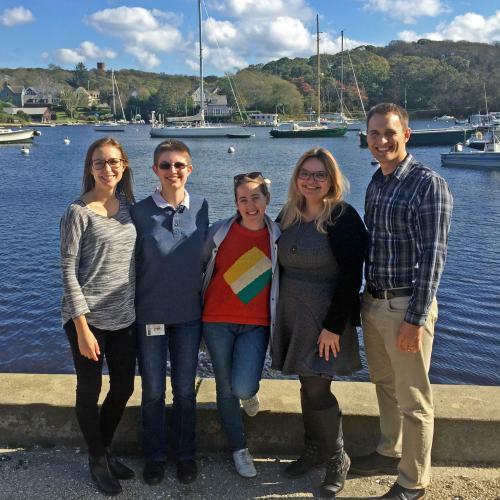 At this year’s MCDB departmental retreat, members of the Horsley lab gave exciting research presentations in multiple formats. Brett gave an engaging talk entitled, “Investigating the recipe for success in skin wound healing,” Nanda and Renee gave 2-minute lightning talks to entice listeners to visit their posters, and Nanda and Rachel won prizes for their exceptional poster presentations. Additionally, Olivia was pivotal to the design, execution, and success of the retreat entertainment. Congrats on another terrific retreat!